The Coptic Christian community of Egypt continues to suffer, even if the attacks on them no longer make the front pages of our daily papers. The most recent attacks on buses and churches have been claimed by the so called Islamic State (IS). By no means isolated incidents, this denomination of Christians continues to be targeted while they hold firm in the beliefs, practices and right to worship. This most recent attack claimed 29 more lives, raising the death toll of Christians in the area to 86 since December 2016. Unlikely to be the last of similar incidents, it is important to consider why this group are being targeted. Covering 10% of the population of Egypt, Copts are the largest Christian denomination in the country. However, they are a religious minority. It is the aim of IS to eradicate all other religions, but it is necessary to remind ourselves that this group is not representative of the Islamic faith, their culture, or the teachings of the Qu’ran. However, while IS are conducting the most brutal and continued attacks, it is the foundation of historical sectarianism that, unless addressed, will continue. Even after the inevitable defeat of IS. Since the 1980s, specific attacks against the community have reoccurred time and again. The rights of other Egyptians have expanded over the years, yet those of the Copts have not seen the same progress, or have even become more restricted. 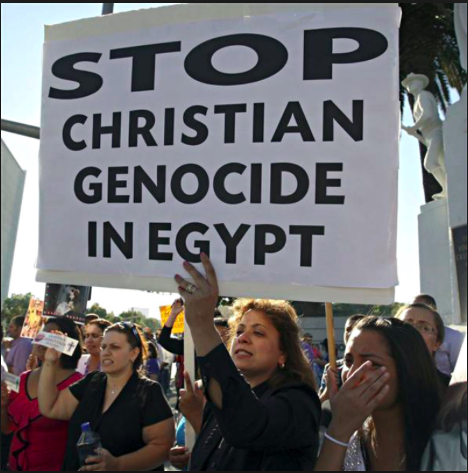 This is not a recent problem for Copts in the area, but unfortunately change is unlikely soon. The Egyptian government barely has Christian representation within its parliament, meaning issues facing exclusively the Christian community can fail to reach the agenda. While religious freedom is guaranteed under the country’s constitution, Islam is the state’s official religion and conversion to another is illegal. Church buildings are crumbling from the lack of support. The UN declares religious freedom as not only a basic human right but as the first article in its declaration of human rights and it is a right to be protected and fought for, particularly by those who are enjoying its privileges. Religious or not, humanity benefits from the freedom of us all, and for minorities like Copts, we should be aware of their situation and fight for them when their voice is not heard.